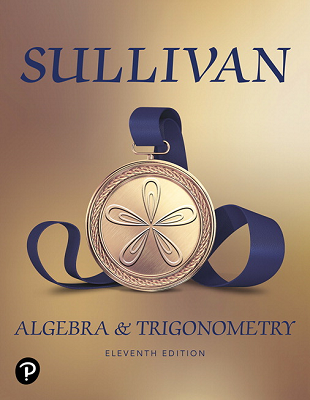 For courses in College Algebra & Trigonometry. 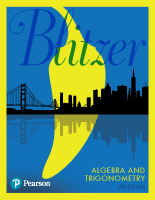 To show students that our world is profoundly mathematical, Bob Blitzer continues to inspire students with his engaging approach to mathematics, making this beloved series the #1 in the market year after year. 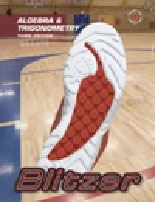 Blitzer draws on his unique background in mathematics and behavioral science to present a wide range of vivid applications in real-life situations. 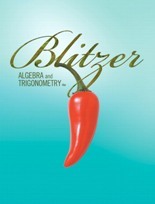 Students of all majors stay engaged because Blitzer uses pop-culture and up-to-date references to connect math to students’ lives, showing that our world is profoundly mathematical. 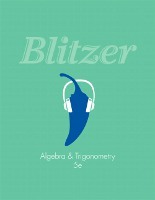 With the new edition, Blitzer takes student engagement with the mathematical world to a whole new level drawing from applications across all fields as well as topics that are of interest to any college student (e.g., student loan debt, grade inflation, sleep hours of active students). 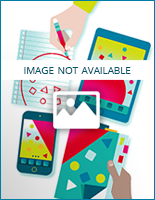 Applications are also brought to life online in a new, assignable video series that explore the entertaining and mathematical Blitzer Bonus boxes. 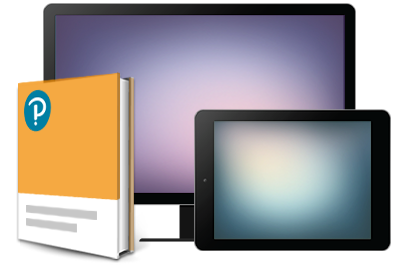 The new edition also aims to help more students to succeed in the course with just-in-time support in the text—such as Brief Review of prerequisite topics, Achieving Success boxes, and Retain the Concepts exercises—as well as support within Pearson MathXL for School or MyMathLab for School such as new concept-level videos, assignable tools to enhance visualization, and more.